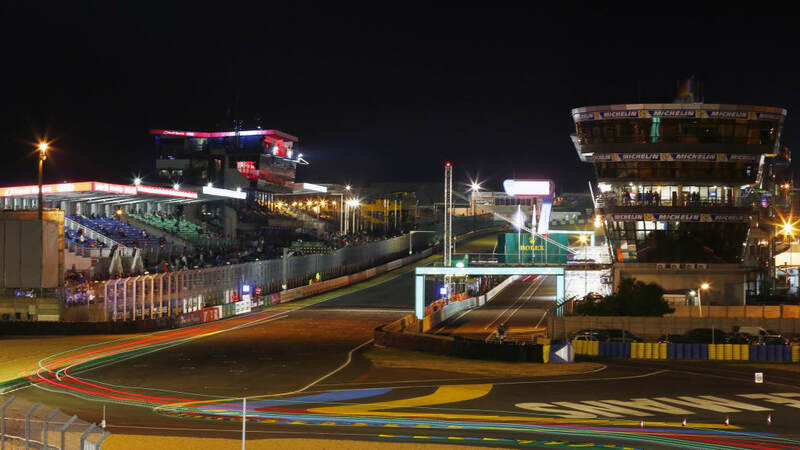 After 395 laps and over 3,300 miles covered, Porsche claimed its record seventeenth overall win at the 24 Hours of Le Mans this year. Those, however, were only a few of the numbers that went into the German team's landmark campaign, the fourth one-two victory in the history of its assault on the endurance race. And now it has released some of the other mind-boggling figures behind its win. Over the course of 24 grueling hours of competition, the winning Porsche 919 Hybrid averaged a staggering 139 miles per hour, reaching a top speed of over 211 mph. Along the way, the winning car changed gears over 25,000 times. We can imagine the drivers worked up quite a sweat in a cockpit, whose temperature topped 80 degrees, with less than a quart of water to drink during each stint between pit stops – the longest of which lasted over ten hours. Little wonder that Mark Webber lost over six and a half pounds by the end of the ordeal. Naturally, pit stops played a huge part in the campaign, and the team – whose headcount topped 120 – carried out 90 stops (30 per car) over the course of the race. All told, the three cars went through 116 tires, each car had its oil refilled entirely, and the winning car alone swallowed up 500 gallons of fuel. And that's not even counting the energy recuperated by the electric component of the hybrid powertrain, which would be enough to power a family home for three months. Those are just some of the most notable figures, but they give us a pretty good idea of the enormity of the whole endeavor. Want to read more? There's a whole list of numbers in the press release below. Stuttgart. 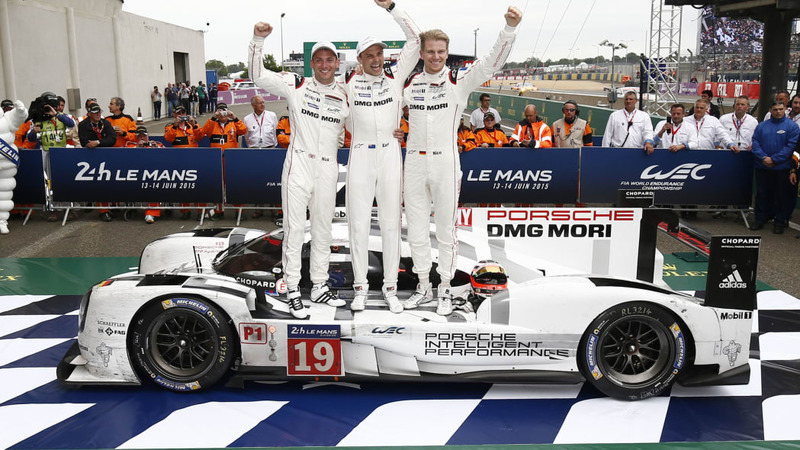 On Sunday, 14th June 2015, the trio of Earl Bamber (NZ), Nico Hülkenberg (GER) and Nick Tandy (GBR) took the 17th overall victory for Porsche at the Le Mans 24-Hours. They were followed across the line by the sister car of Timo Bernhard (GER), Brendon Hartley (NZ) and Mark Webber (AUS). This made it the fourth one-two result for the brand after achieving this in 1971, 1987 and 1998. But there are more interesting facts and figures about the race. • The winning team completed 395 laps (5,382,82 kilometres). This year's race was only two laps short of the longest distance covered in Le Mans back in 2010. 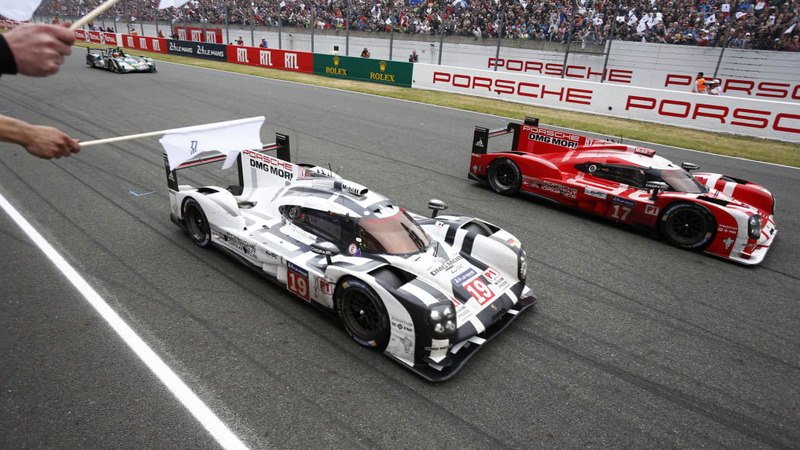 • The average speed of the winning Porsche 919 Hybrid was 224.2 km/h. • The highest top speed of a Porsche 919 Hybrid in the race was 340,2 km/h and done by Mark Webber on Saturday at 16:40 hrs. 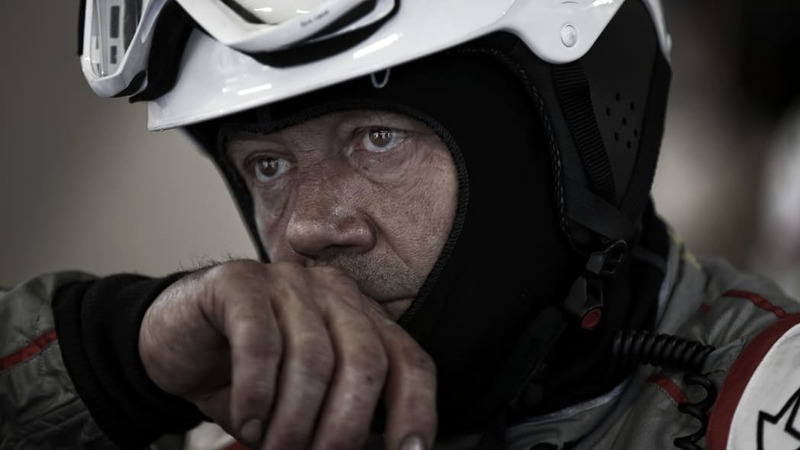 • The head count for the Porsche Team's operational crew was 120 people. • The Porsche Team made 90 pit stops, 30 per car. • At 26 of these stops tyres and drivers were also changed. • The longest distance covered with one set of tyres was 54 laps for all three cars. In car number 17 Mark Webber did this ultra long run, in car number 18 it was Neel Jani and in the number 19 prototype it was Nico Hülkenberg. • 116 tyres in total were used by all three Porsche 919 Hybrids over the race distance. • A tyre on a rim weighs 19,9 kilograms. This means, just in relation to wheels, the mechanics moved 2,308.4 kilograms. • The fastest pit stop, including a tyre and driver change, by the Porsche Team was 1:13.9 minutes. • The fastest stop for refuelling was done in 51,3 seconds. 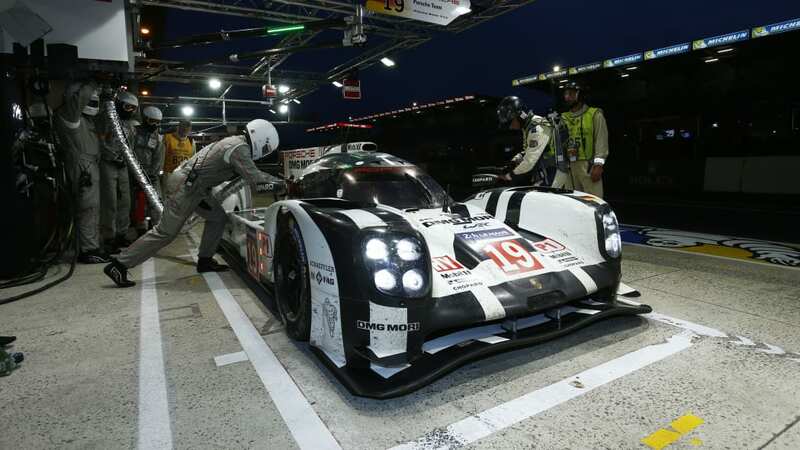 • In total all three Porsche 919 Hybrids spent 95 minutes and 36 seconds in the pits. The time for the second best crew entering three cars was over 130 minutes. • 1,896 litres of fuel have been pumped into the winning car. • The winning Porsche's gearbox mastered 25,293 gear changes (up shift and down shift) during the 24 hours. 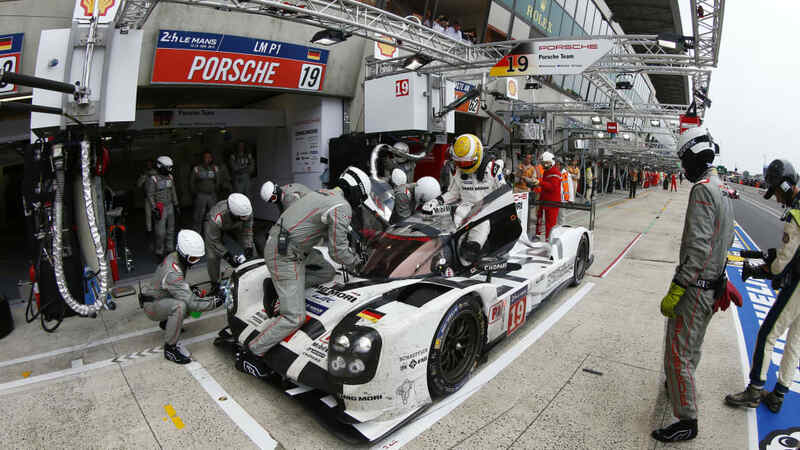 • The longest time behind the wheel of all nine Porsche LMP1 drivers was for Neel Jani with ten hours and ten minutes. In the winning car it was Nico Hülkenberg who drove most (eight hours, 52 minutes). • Mark Webber lost the most weight of all nine drivers. When the race began he weighed 81.2 kilograms (including race gear and helmet), after his final stint the scales stopped at 78.2 kilograms. • The drivers had 0.85 litres of drink on board for each stint. The drink bottle was changed at every refuelling stop. • Almost no parts had to be changed during the race. After going off the track, the number 18 car had a new nose twice. On car number 19 at eight in the morning the team did a precautionary engine cover and rear wing change when it didn't cost any time during a safety car period. 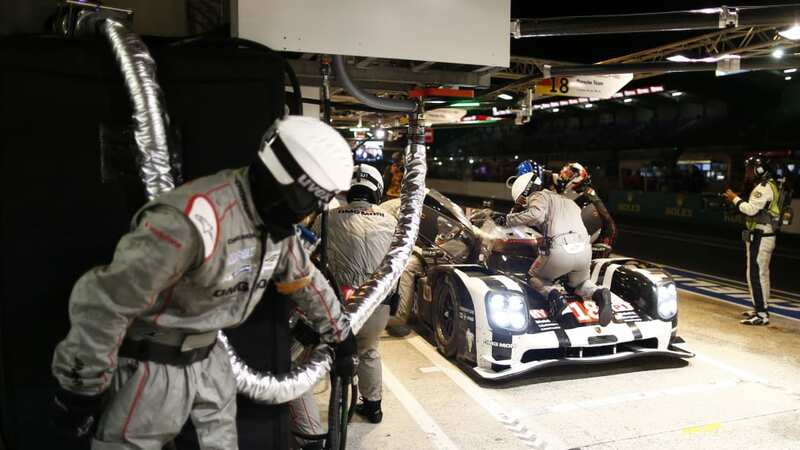 • During the 24 hours each Porsche 919 Hybrid had a refill of one litre of oil. • For the best possible visibility each of the three prototypes had four tear-offs on the windscreens, which were removed one after the other. 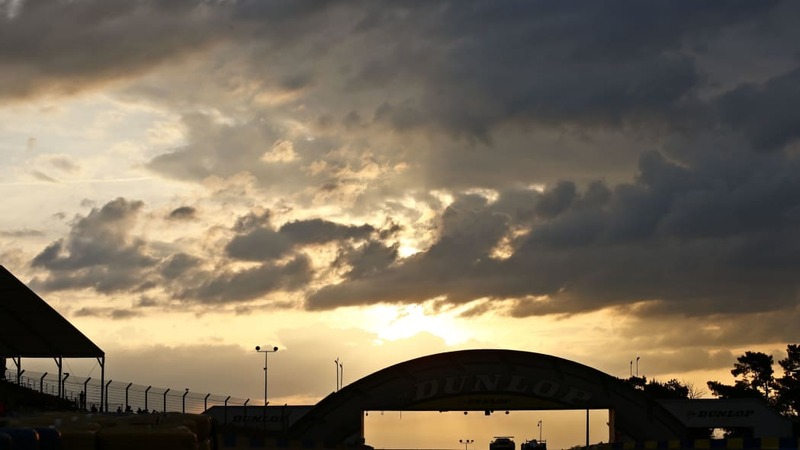 • The highest ambient temperature during the race was 25 degrees Celsius at 16:00 hrs on Saturday. The coolest part of the race was at night between 03:00 and 07:00 hrs with 16 degrees Celsius. • The highest cockpit temperature was 27 degree Celsius. • The night was eight hours long with sunset at 21:59 hrs and sunrise at 05:59 hrs. 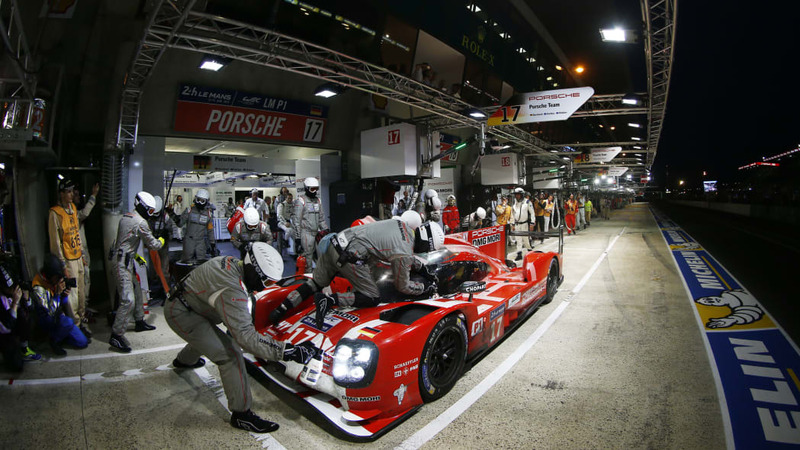 • 13.5 gigabytes of data per car have been transmitted to the pits during the 24 hours. • The safety cars came out four times. Including the so-called slow zones – speed limits at certain parts of the track – the race was neutralized for a total of 195 minutes. 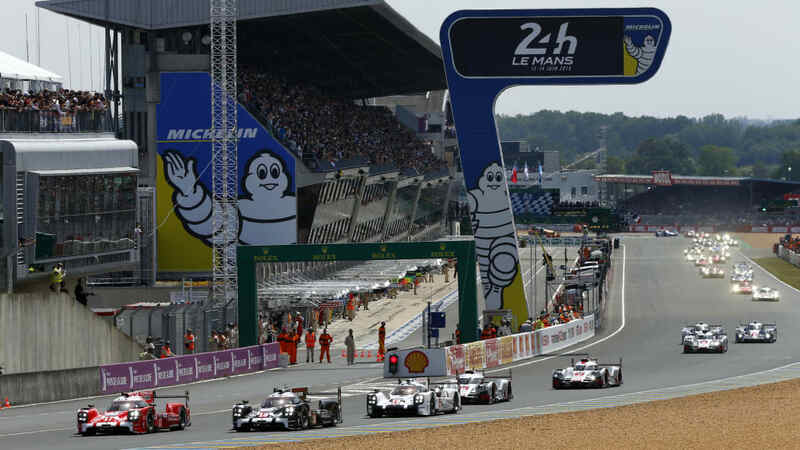 • After three rounds of the FIA World Endurance Championship, with double points in Le Mans, Porsche now leads the championship with 140 points, followed by Audi (124) and Toyota (71).